In a previous post I talked a little about Skyships and vaguely stated how they worked. Now its time to actually nail down the designs! 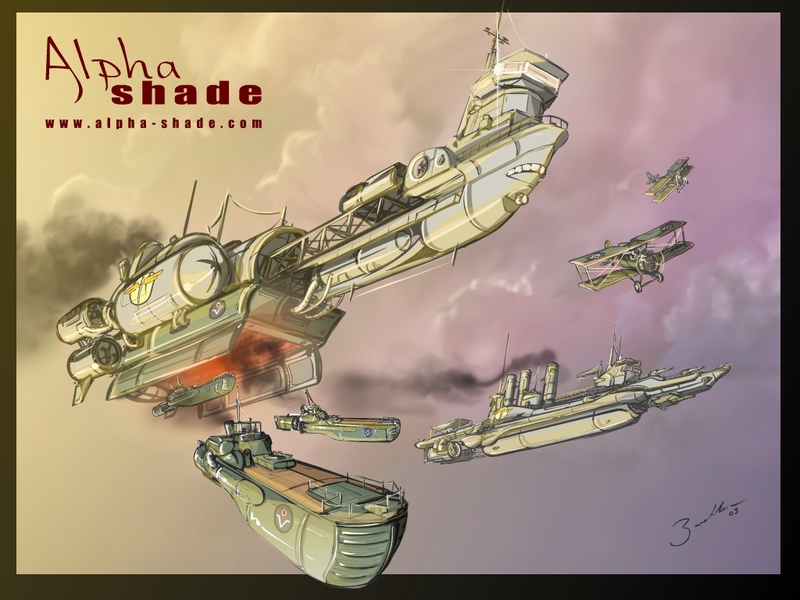 ...and the sadly defunct webcomic Alpha Shade. 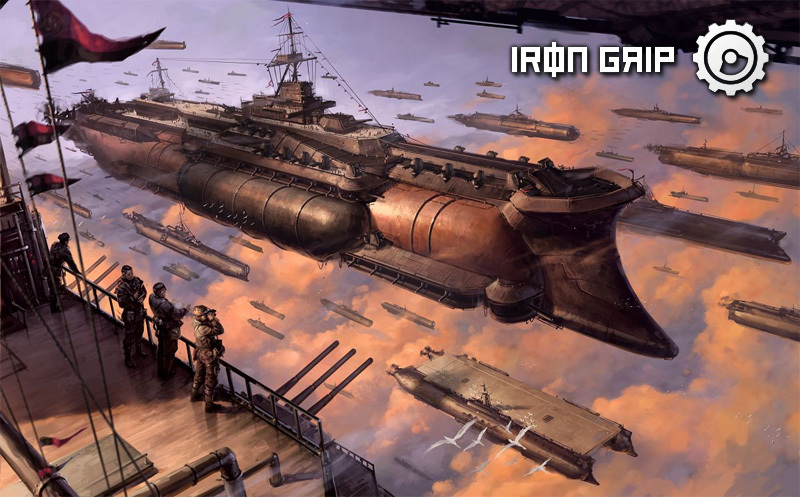 With Iron Grip the reasoning behind their airships is that the setting has a much higher level of Argon in the atmosphere, thus producing denser air and more static but frequent storms. Its basically zeppelins that they're using, but the denser air apparently means that they can built to be much larger and carry much more weight. Alpha Shade though never goes into any details, though there might be something in the printed collection but I've never had the chance to read it. As a result its anybody's guess, but it is a fantasy setting. For the Frozen Skies Skyships I'm thinking maybe a cross between the above, at least for style and function. I've mentioned that Skyships use a gas called Liftorium to produce lift, which is normally lighter than air like Helium or Hydrogen. The idea that I'm currently running with for Liftorium is that it can be 'encouraged' to become even lighter. Skyships would have gas bags or 'cells' filled with Liftorium, though just barely enough for the craft to float. The gas cells have electric cables connecting Tesla Coils, when powered the coils produce an electric charge that energies the Liftorium which has the effect in making it a much lighter gas. Another idea I'm looking at is that degaussing can potentially screw up Liftorium's electric charge, so it could be used as a weapon in aerial warfare. Now over to you guys for your thoughts and ideas. Interesting. When you first mentioned the possibility of airships in the setting, my first thought was that you meant zeppelins. Though this is fine, too. Another property with similar airships is the anime series Last Exile. Zeppelins are the more common form of airships, Skyships range from uncommon to a rarity. Think of it like the current ratio of electric cars to motorcars.